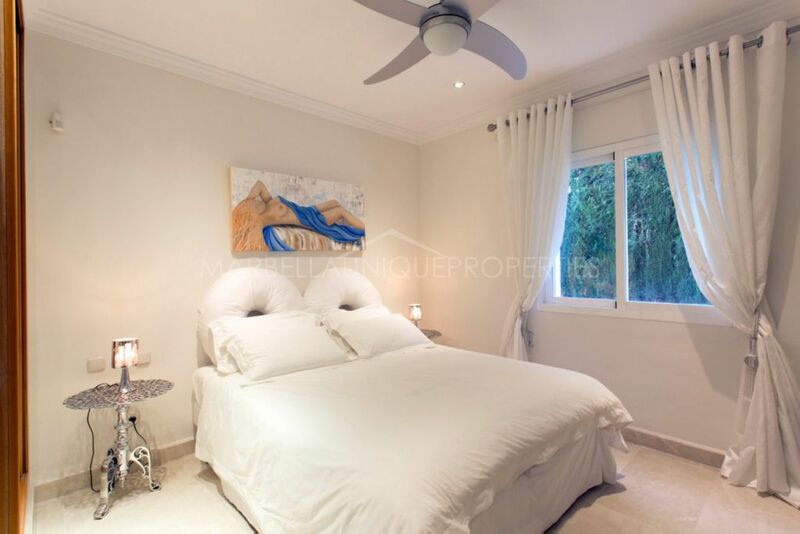 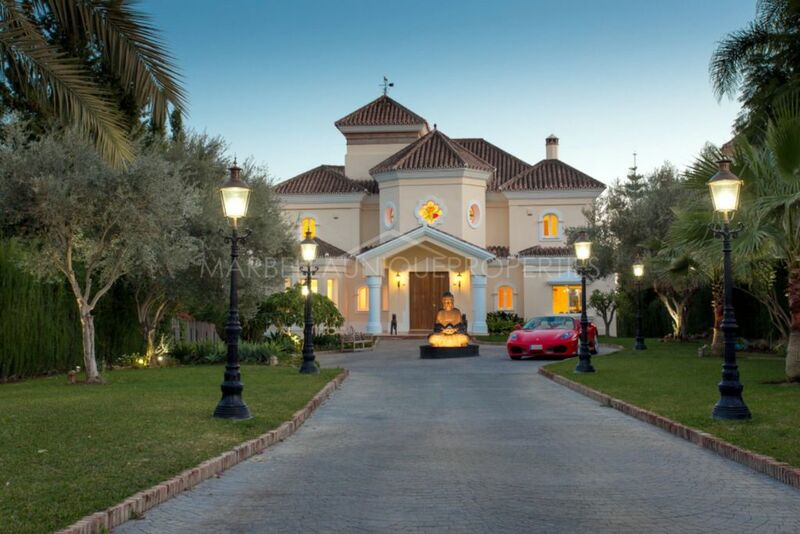 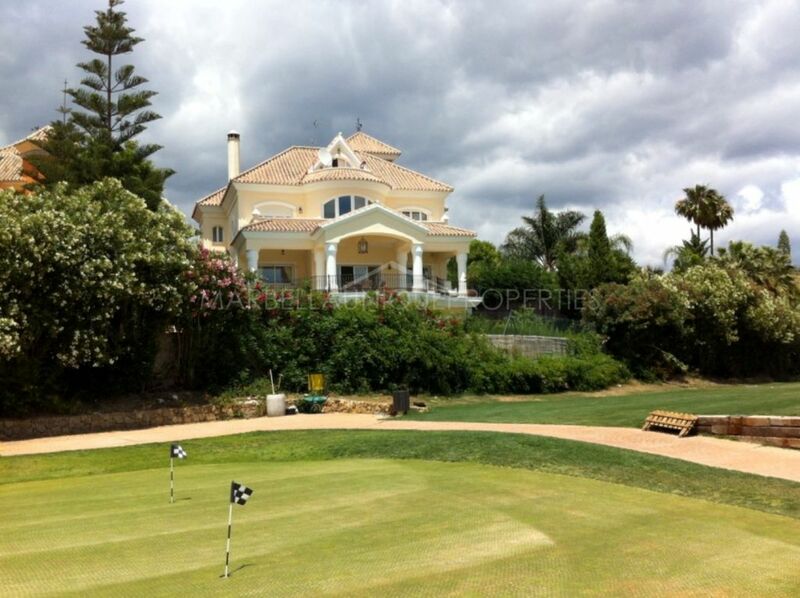 A beautiful and elegant frontline golf 7 bedroom villa in the heart of Nueva Andalucia. 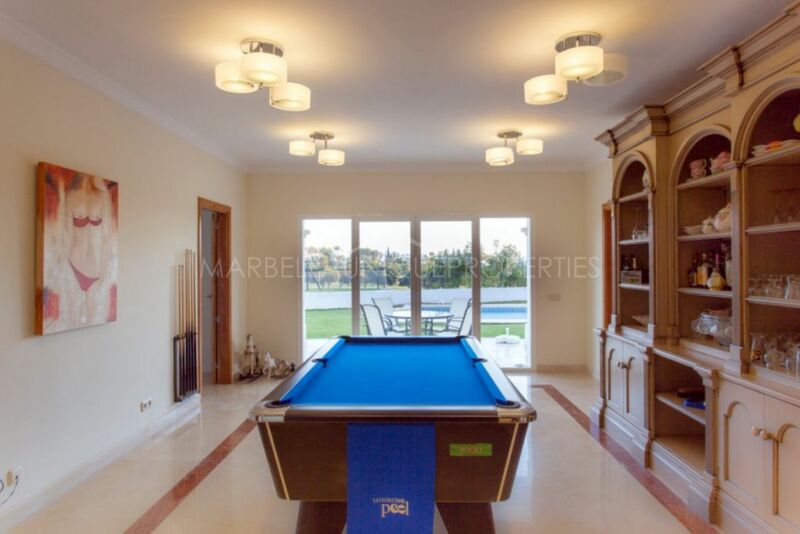 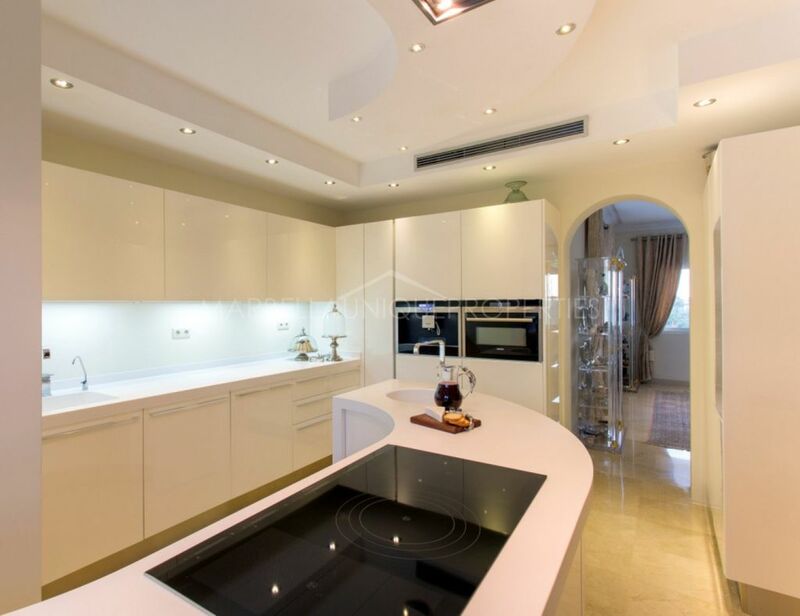 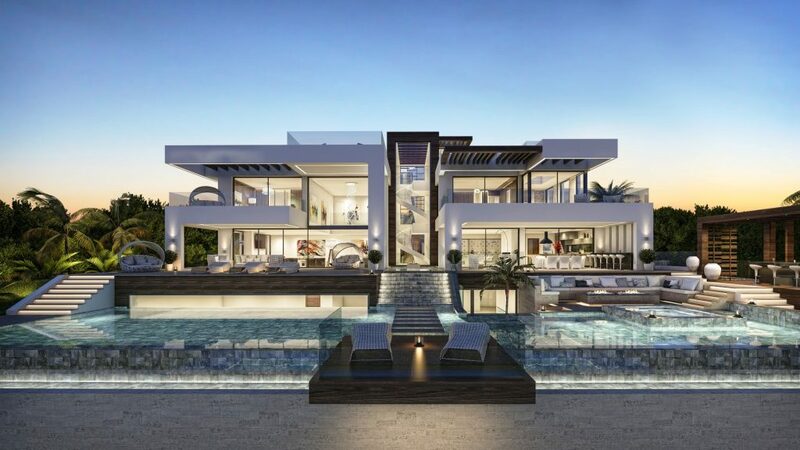 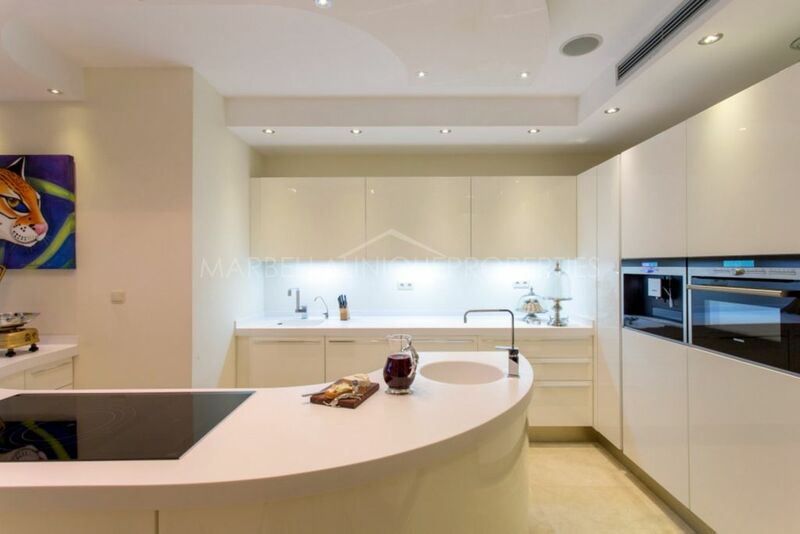 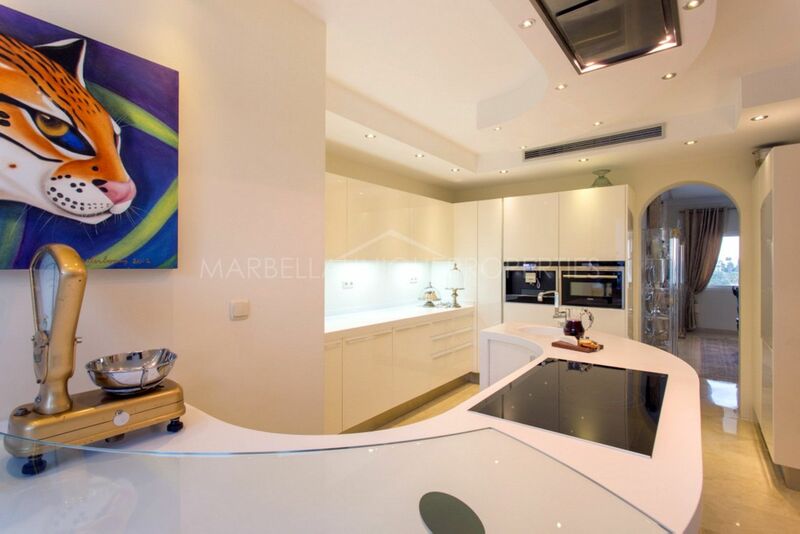 This spectacular villa is finished to high quality standards, with a lovely marble entrance and staricase, an uber modern fully fitted kitchen with luxury quality appliances and in minimalist style. 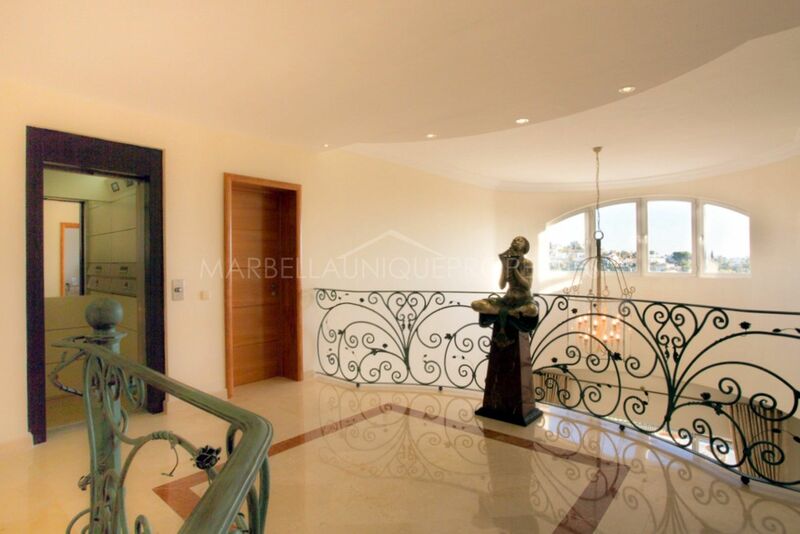 A unique entrance into the living and dining room with crystal double entrance doors, high ceilings with windows allowing for maximum light, a relaxation area, a living room with working fireplace to one side and an independent dining room to the other, access onto the terrace with views over the golf course. 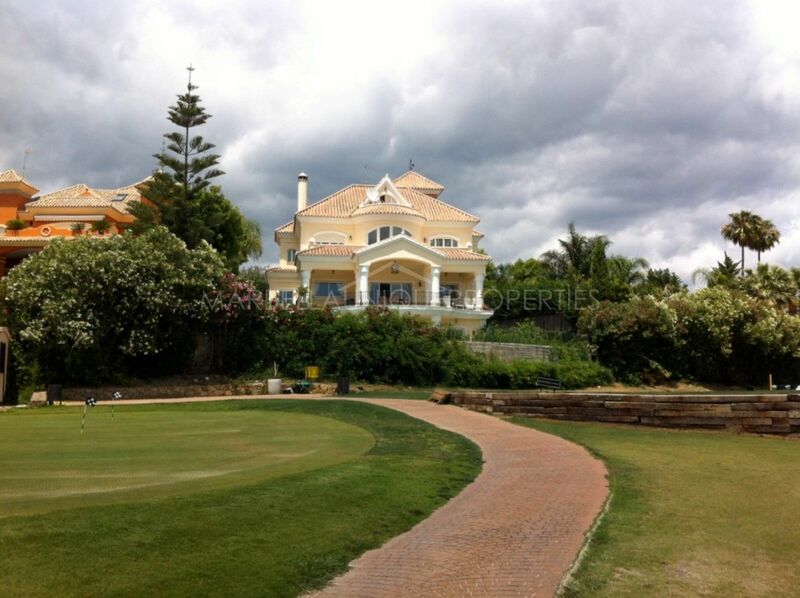 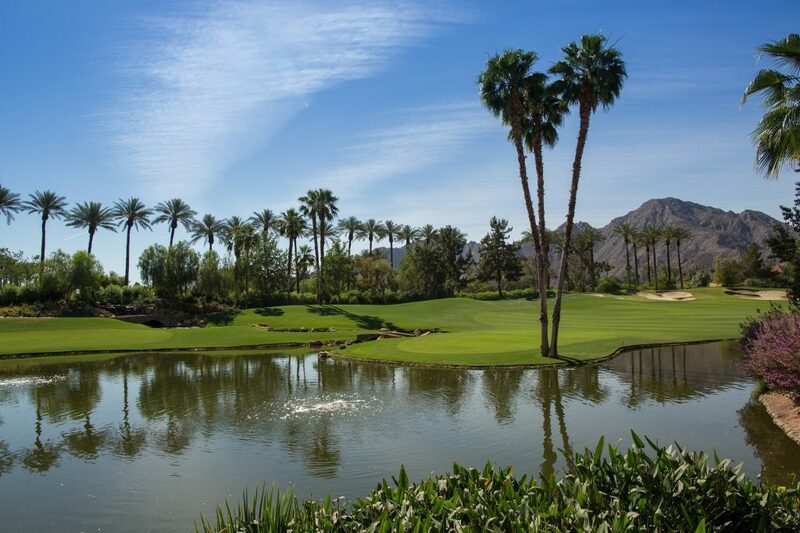 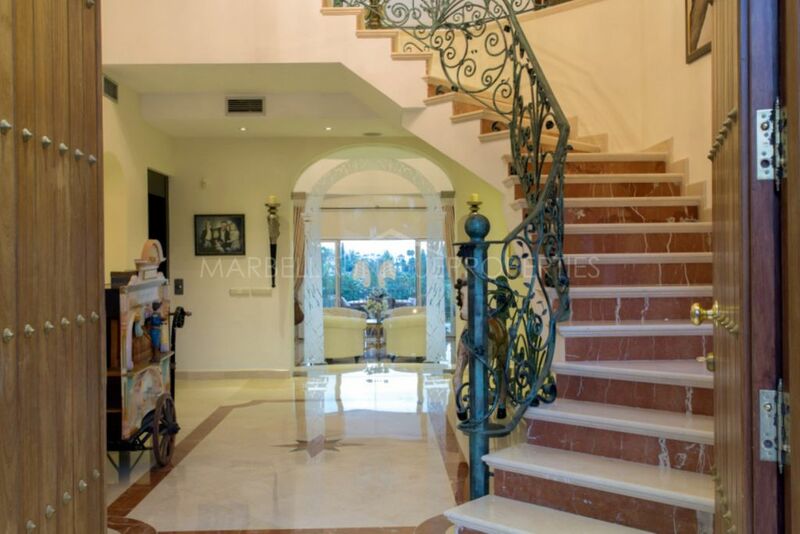 7 bedrooms in total with 6 bathrooms including the master suite with dressing room. 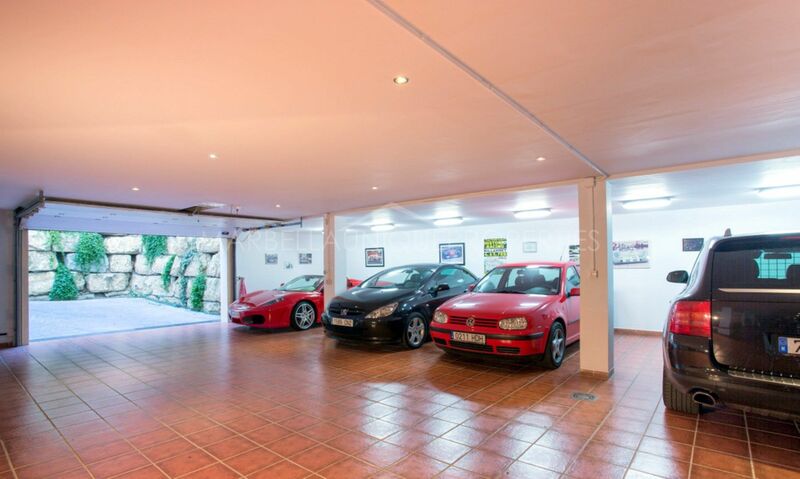 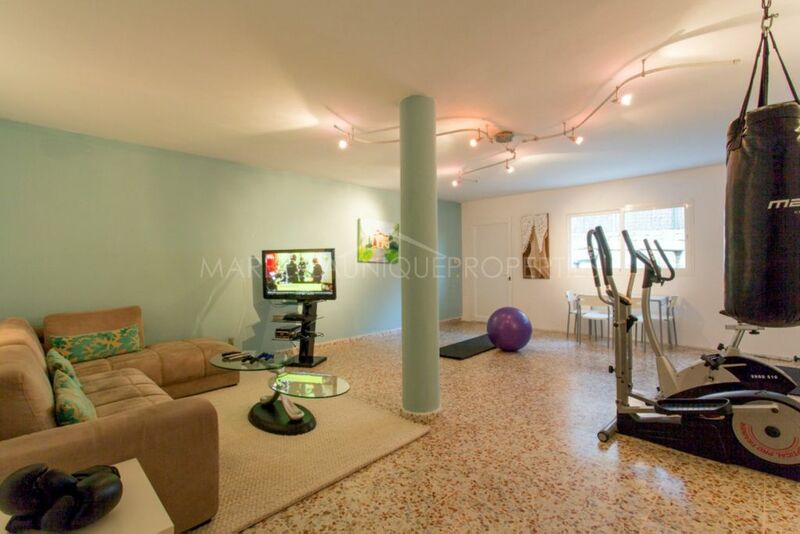 The property includes a gym and independent games room and a closed garage for 4 cars. 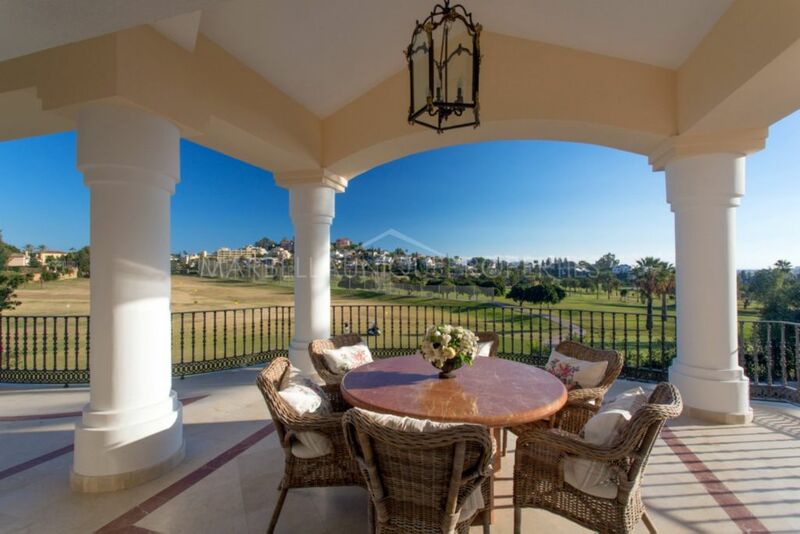 Beautiful terraces for outside living as well as immaculate gardens with large swimming pool overlooking the golf. 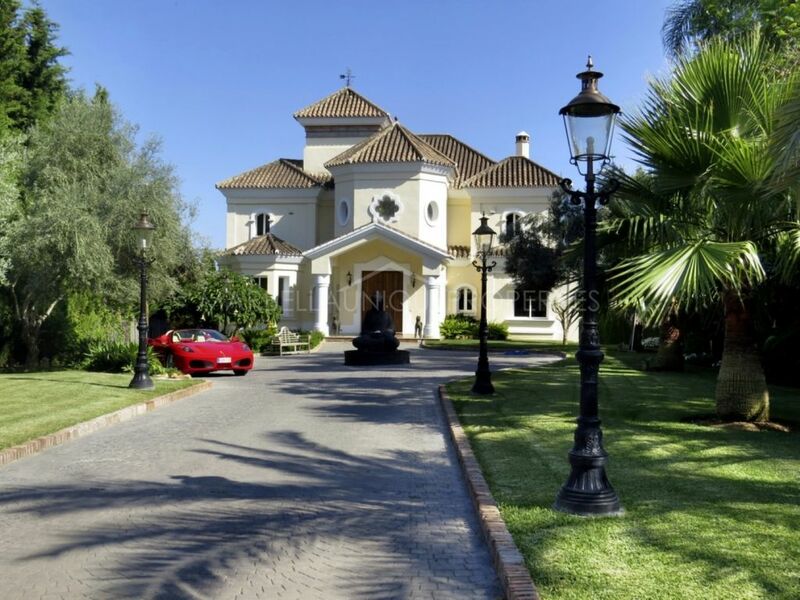 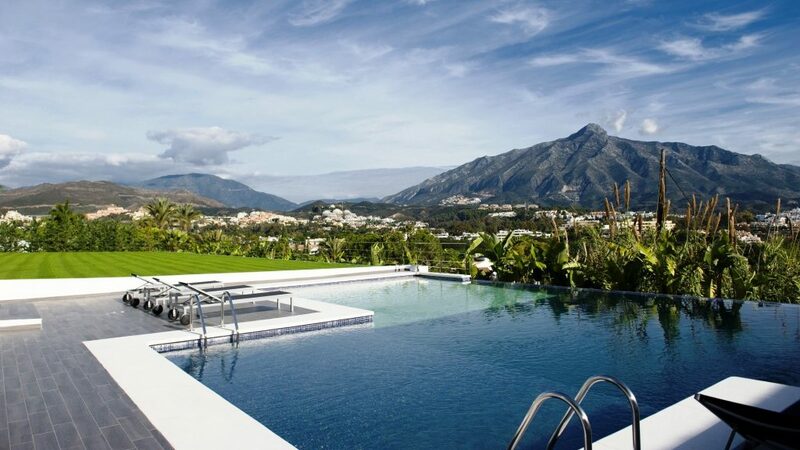 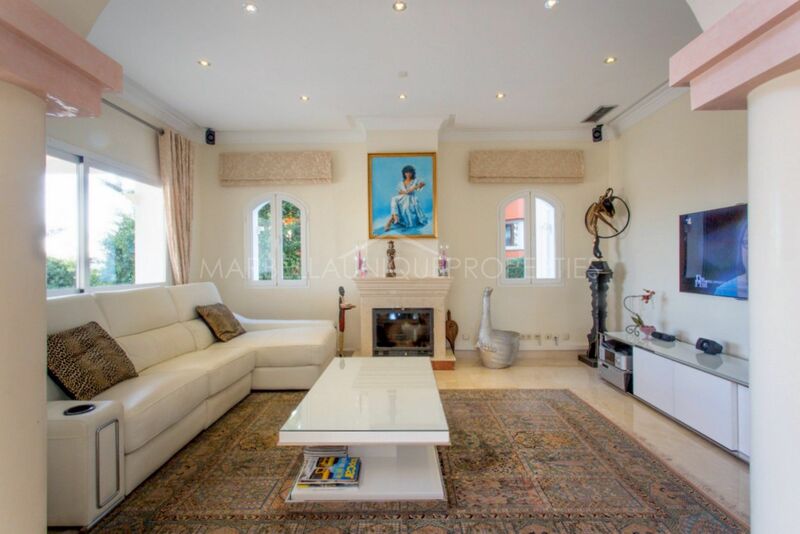 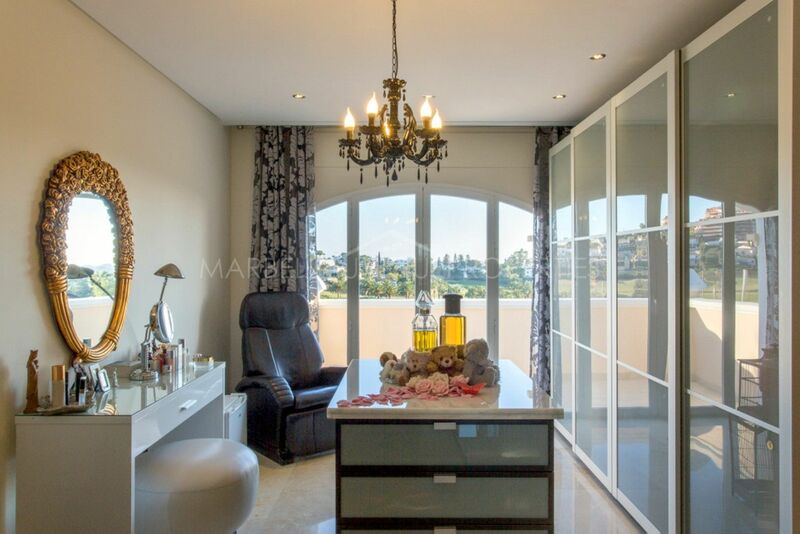 An elegant villa with stunning views, in the heart of the Golf Valley of Nueva Andalucia, close to all amenities, various golf courses, Puerto Banus and a short drive to Marbella centre. 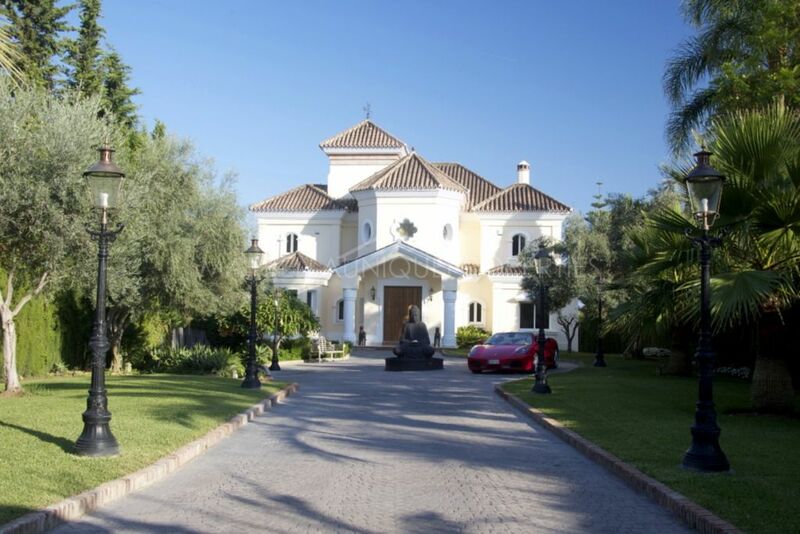 Please, send me more information about ref 239-00536P, Villa in Nueva Andalucia or similar properties.